Accent and Area Rugs Add Personality! Our accent and area rugs include a wide variety of brightly colored floral and patterned designs. 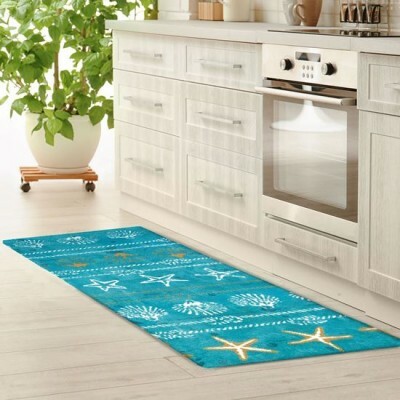 Accent rugs are great in entry ways, small rooms and as an anchor to bring the décor of small rooms or spaces together. Area rugs are primarily larger and cover a center focus under central living room furniture, dining room tables, or a bedroom furniture setting. All our accent and area rugs can be ordered in varied sizes to meet your specific design needs. Pacific Home Furniture’s Citrus Bunch Accent Rug is a beautifully designed and perfect to..
Our Hummingbird Nectar accent rug from Pacific Home Furniture is a beautifully designed an..
Our Influence accent rug from Pacific Home Furniture is a beautifully designed and perfect to a..
Our Moroccan Red accent rug from Pacific Home Furniture is beautifully designed and perfec..
Our Polka Dots & Flowers accent rug from Pacific Home Furniture is beautifully designe..
Indoor, Outdoor Coastal Themed Rug The pineapple is known to be the universal symb..